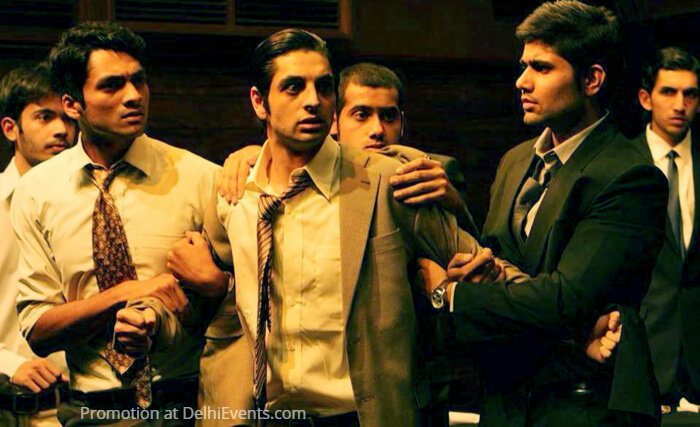 Event Description : Akshara Theatre presents "12 Angry Men" English Play. 12 Angry Men is the classic courtroom drama about 12 men serving on a jury, who, after hearing the trial and final arguments, have to decide on the life of a teenager who is being prosecuted for the murder of his father. It is a matter of life or death. In the locked jury room with such high stakes, people's personalities and problems start emerging, sometimes threatening to overshadow the case itself. There are issues of personal grievance, of inability to fit into society, of arrogance and self-importance, of low self-esteem, of aggression -- but ultimately idealism, integrity and in this one instance, justice, triumphs. Actors : Vikalp Mudgal, Rakesh Palisetty, Dhruv Shetty, Vidur Mohan, R.S. Raghu and members of the Akshara Repertory etc.